HD IPS Touch Screen:1.39 inch AMOLED Round Screen with Non-air-gap.It has an awesome display as well as the hypersenstive touch,which can supply you the clear display even in the glare. Colorful clock Display make your watch more fashion and Outstanding. Communication anytime anywhere. It supports GSM850/900/1800/1900 MHz,WCDMA850/2100,Large capacity battery: 350mah Polymer battery can support about 5 Days Standby Time. More than about 2 days for normal use. 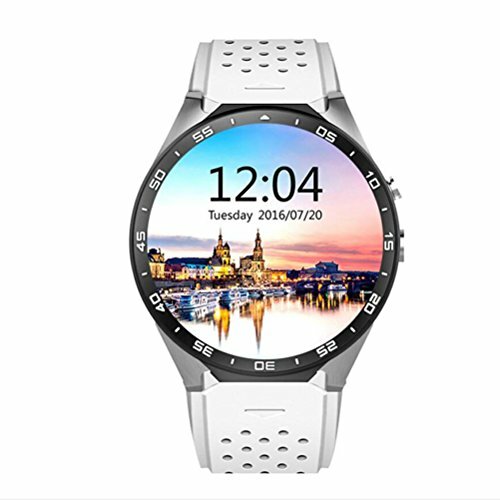 Main function: CPU MTK6580, support IOS and Android, Pedometer, Heart Rate Monitor, Sleep Monitor, Calories calculation, Alarm clock, Sedentary reminder, Calculator, Music player, video recorder etc. Built-in Android 5.1 OS, easy online upgrade ,Aluminum watchcase with anodic oxidation processing, Let your watch look more noble. If you have any questions about this product by L@YC, contact us by completing and submitting the form below. If you are looking for a specif part number, please include it with your message.